Connect this unit to any Pressure Washer with at least 3.5 Gallons Per Minute of Waterflow and b2tween 2500 PSI and 4000 PSI pressure. 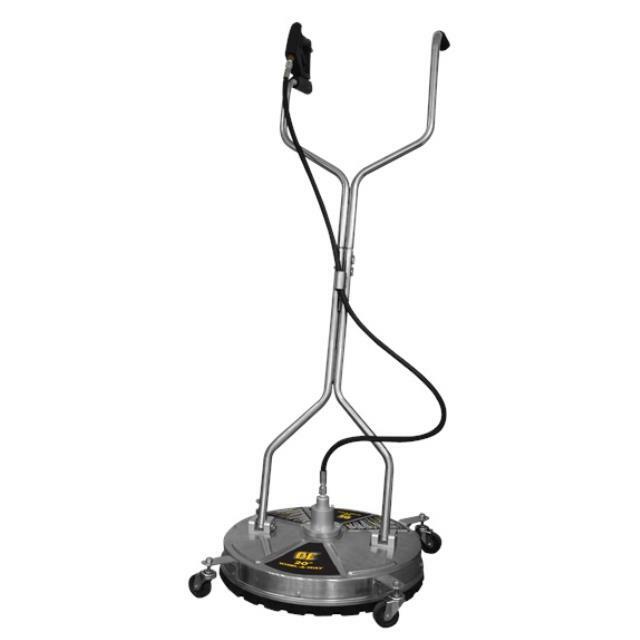 This unit will provide better cleaning action and speed than with a typical pressure washer wand. Because the water spray is contained it can be used even with people around.